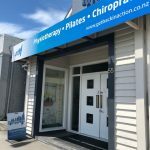 If you’re a physiotherapist looking for work in New Zealand you will have little trouble securing a physiotherapy job in an area of practice you are passionate about. There are physio jobs available throughout New Zealand in private and public health. Positions may request a specific level of experience however physiotherapy practices are often happy to provide additional training to up-skill in specific areas for the right applicant so be sure to ask. Do I need to list with a recruitment company to find a physiotherapy job in New Zealand? NO Kiwis are people people and most physiotherapy practices are small to medium businesses. Practice owners/ managers on the whole like to engage and see for themselves the calibre of applicants applying for positions. Therefore most clinics tend to advertise physiotherapy jobs online giving applicants the opportunity to direct any questions they have directly with the employer and to apply for the role directly with the HR manager, practice manager or clinic owner. There really is no need to list with a recruitment company. Do I need to have my New Zealand Physiotherapy registration before applying for a job? YES. Most advertised positions will require you to hold New Zealand Registration in order to apply. The reason being is that the registration process can take a number of months and employers need the certainty of being able to fill a position with a practising physiotherapist. See below for more details on obtaining your New Zealand registration. How do I become and New Zealand registered physiotherapist? The Physiotherapy Board of New Zealand is the statutory body which sets standards, monitors and promotes competence, continuing professional development and proper conduct for the practice of physiotherapy in New Zealand. To practice physiotherapy in New Zealand, you must be registered and hold a current Annual Practicing Certificate (APC) issued by the Physiotherapy Board. For overseas applicants the registration process can take anywhere from 3mths to a year. The Physiotherapy Board assesses each overseas application on a case by case basis. Unfortunately at present there is no accreditation of overseas courses, with the exception of Australian Certified Physiotherapists and so therefore each application is individually assessed. 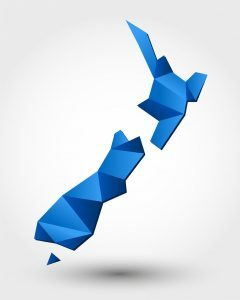 Can I work in New Zealand if I hold Australian Physiotherapy Registration? YES. If you currently hold full registration and are entitled to practise physiotherapy in any Australian state or territory then you are entitled to seek registration in New Zealand under TTMR Act. To register you need to complete the application form and pay the required fee. For further information about the application process please contact us. Do I need a Work Visa before applying for a physiotherapy position? YES. Unless you are an Australian citizen or permanent resident (meeting the NZ character and entry permission requirements) you will need a visa to work in New Zealand. “Physiotherapist” is currently listed on the New Zealand Immigration Long Term Skill Shortage List (LTSSL). This is a list of occupations where there is a sustained and on-going shortage of highly skilled workers both globally and throughout New Zealand. This status allows Physiotherapists that meet all the requirements to apply for a Work to Residence (Long Term Skill Shortage List) Visa.